Shopping for a semi or permanent home hair dye is hard enough but when you factor in trying to find one that’s also cruelty-free and vegan, your options shrink to virtually NONE that’s available at your local drugstore. That’s because almost all of the hair dye brands sold at the drugstore are from brands that test on animals like Revlon Colorsilk, Nice’ N Easy, and John Frieda. A list of cruelty-free and vegan hair dye has been one of the most asked and recommended shopping guides from my readers and I’ve been putting it off for a while because I was sadly not hearing back from most self-proclaimed “cruelty-free” and/or “vegan” hair color brands when trying to verify their animal testing policy. I contacted over 30 brands and not even half of them responded back to me. But I’m not going to leave you hanging any longer as I’ve successfully found 7 cruelty-free and vegan hair dye brands! I will update this list with more options as new information becomes available. Below is a list of cruelty-free and 100% vegan hair dye and hair color brands that don’t test on animals and don’t contain any animal-derived ingredients. Arctic Fox hair color is vibrant, long-lasting, semi-permanent, hair dye that is made in the USA. Arctic Fox hair color is 100% vegan, cruelty-free and contain added conditioners. Arctic Fox contains no drying alcohols, PPDs, or harsh chemicals. Manic Panic is an alternative semi-permanent hair color brand. Manic Panic’s is 100% vegan hair dye formula and also paraben-free, ammonia-free, phthalate-free, and made in the USA. “Channel your inner unicorn with Lime Crime’s semi permanent hair dyes. Condition and moisturize with this professional quality hair dye.” Lime Crime Unicorn Hair formula is 100% vegan and comes in a variety of vibrant colors and options from tints to full-coverage. Tints of Nature is a certified organic, natural, and 100% vegan hair dye formula. Tints of Nature vegan hair dye is available in 2 options: a semi-permanent Henna Cream formula that is made with natural henna and over 95% naturally derived and 15 certified organic ingredients or a Permanent Home hair dye formula that uses the lowest possible levels of PPD pigments, 75% certified organic and 95% naturally derived ingredients. What are some cruelty-free and vegan hair dye brands you’ve tried before? Does Wella Test on Animals? Can Cosmetics Sold in China be Cruelty-Free? I heard Smart Beauty is both cruelty free and vegan and they have some permanent colours. However is there any update on Good Dye Young? 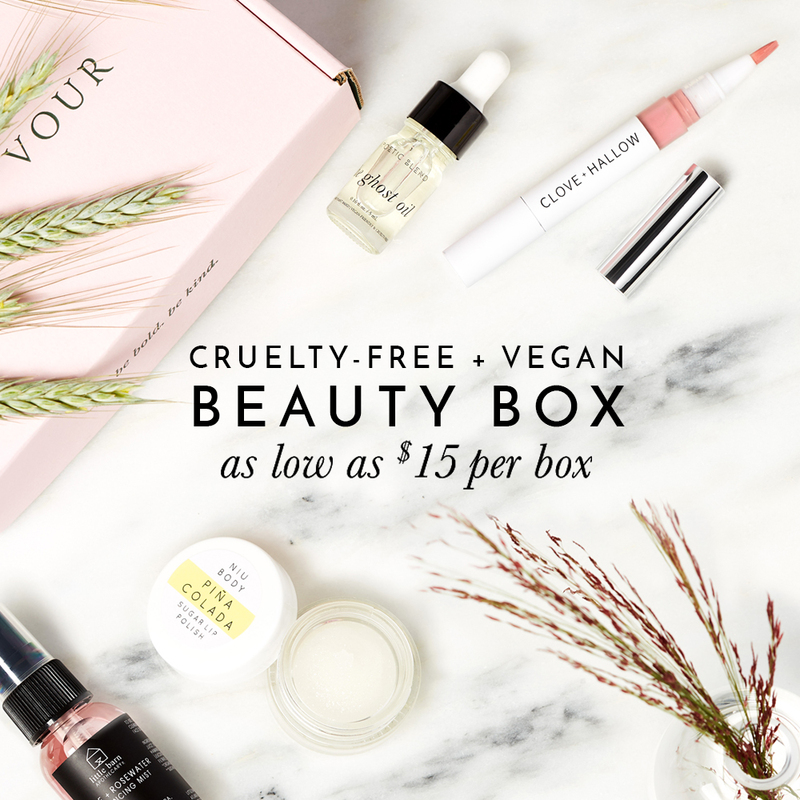 Moreover, I am well aware of the Leaping bunny as cruelty free with their own standards and certification schemes, as well as some other Vegan society certification schemes. However, I cannot understand of Peta certified is just to confirm that some company tests on animals or they are actually a third part certification and verification scheme? What is the difference? Please explain. Naturatint isn’t vegan as they sell in China when required by law! Unless this has changed in the last 12 months? When I spoke with them in August 2018, they told me that Naturtint is NOT sold in China. Oh I forgot to mention the name of the henna brand that is on hennerforhair.com and mehendi. it’s called Ancient Sunrise. I have used their raj twilight henna with kristalovino powder to dye my hair once and while it gave me a nice color, I wouldn’t dye my hair with henna again as it is a super messy process. Ancient Sunrise doesn’t buy a vegan label though because they do lab testing on the henna to prove that there is no animal ingredients. They’re cruelty free. Unfortunately I still haven’t heard back from Good Dye Young when trying to verify their cruelty-free and animal testing status. I’ll be sure to update this list and include them if I hear back from them =) Thanks for the suggestion! What about Paul Mitchell? Aren’t they a CF brand? Lime Crime is cruelty-free and vegan and that’s why I chose to add them to this list. That’s too bad to hear about Surya, I’ll definitely look into the henna powder you recommended. Hi, I wanted to add on that oVertone.co is a cruelty-free and vegan brand that sells conditioners that also work as dyes! I highly recommend you check them out.